How was your Fourth of July? We had a very chill one compared to previous years. As I mentioned in my last post, my parents, sister & nephew are on vacation so we didn’t have the usual bbq family fun. We started our day with a few errands & shooting some pictures. Later Erick cooked up a yummy dinner for us before we headed to a concert/festival here in our neighborhood. It was really nice. Food trucks, face painting, live music etc. Phoebe (my sister’s dog who we are dog sitting) was the star of the night and attracted a ton of kids who wanted to pet & hold her! The light show was incredible and the boys loved every second of it. I shared just a tiny bit of it on stories. Y’all know what the best part was though? The weather was great! We actually had a little bit of a fresh breeze and the humidity was very low. We came home and watched even more fireworks from our balcony before calling it a night. 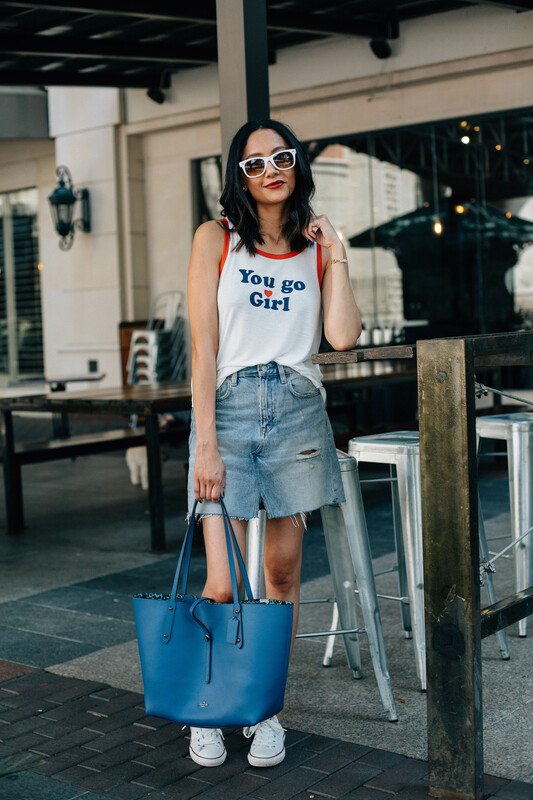 This denim mini skirt is so good I shamelessly wore it twice already. You saw it here first. 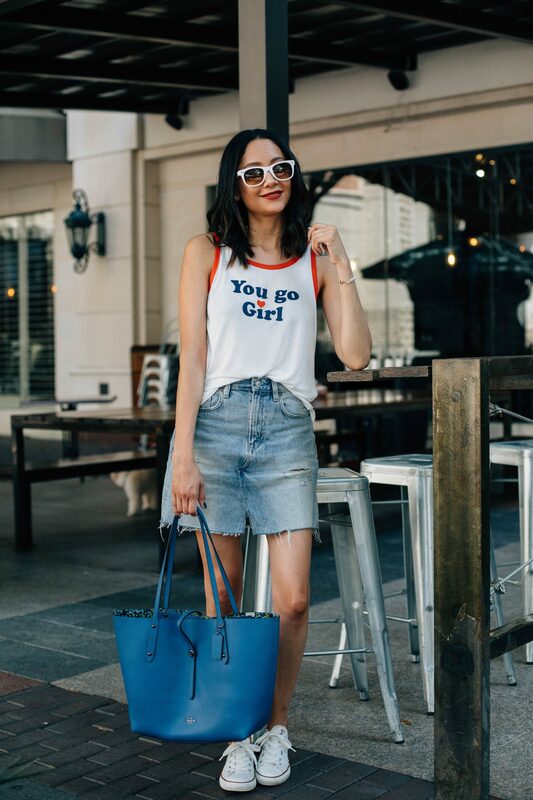 I seriously haven’t loved a denim mini skirt this much since my Hollister days back in high school. 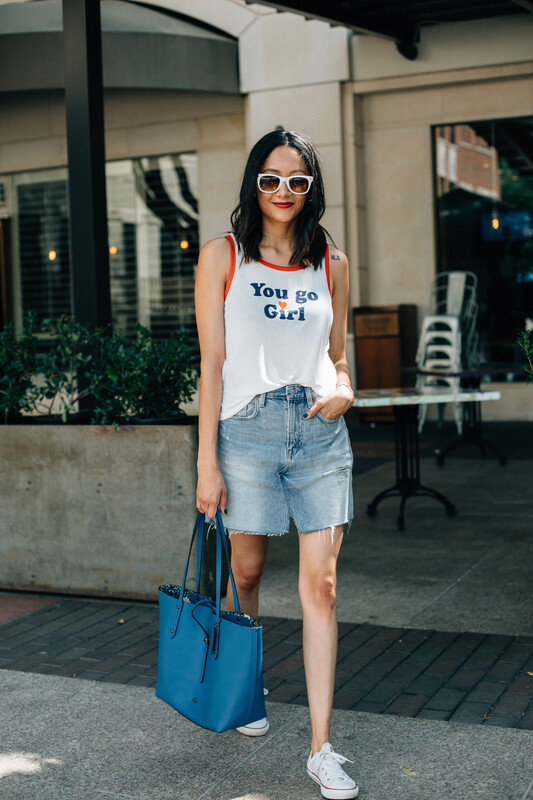 You guys know I love a good denim material, the kind with minimal stretch and vintage feel. 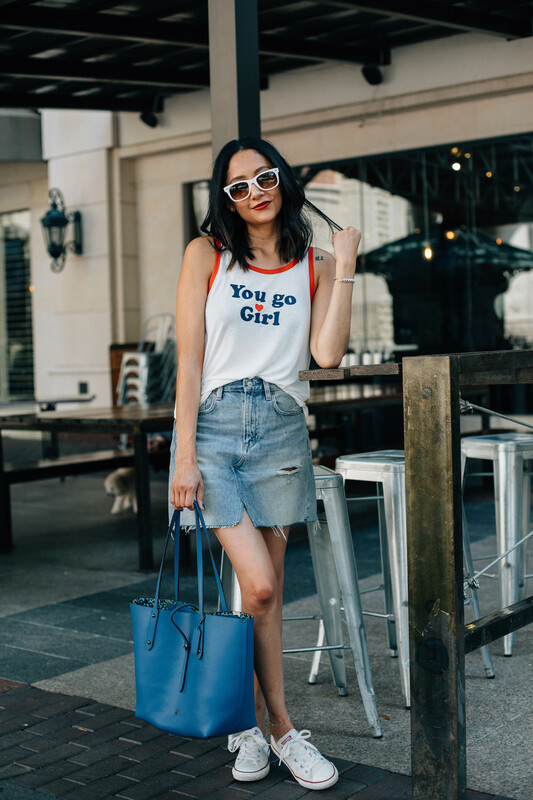 This distressed mini skirt is just that. I wish so badly that it came in white too! 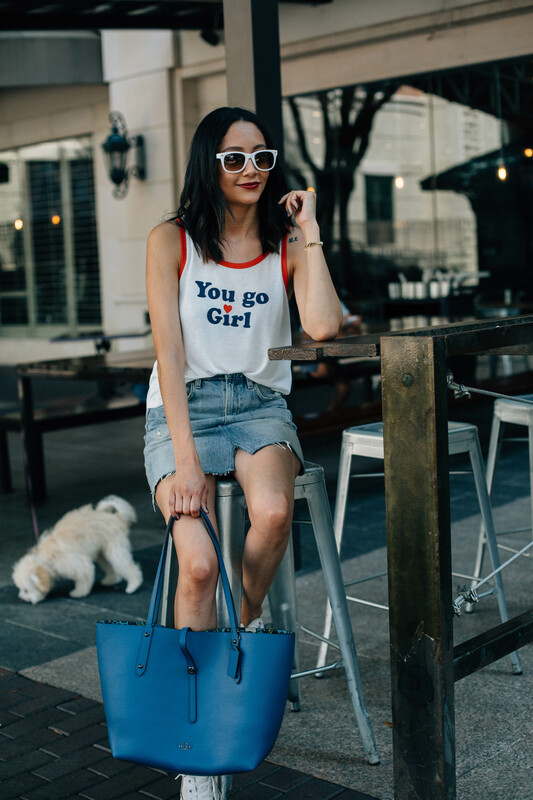 The You Go Girl tank is my favorite. I also picked up this one here and love love love it! Plus the message is right on point. The are both just $10 and will be gret for casual wear this summer.